This hop is going to be awesome you guys. You get tips AND a treat! I think teaching about main idea and details is right up there on the list of tough comprehension concepts to teach little ones - right alongside plot. For young kiddos like first and second graders, it's difficult for them to grasp their head around what the main idea is. I like to start off by having them pretend they are detectives. We learn that the main idea is WHAT THE WHOLEEEE STORY IS ABOUT. The details have to PROVE that main idea. I show them the following anchor chart. We imagine that the main idea is in the form of the cloud. It is the biggest thing and what the story is mostly about. The raindrops that come out of it are the details. They come out of the cloud, that means, whatever they tell me the details of a story are, must PROVE or tell more about the main idea. It can't be some random raindrop from another cloud. Next, we practice this concept with short paragraphs. I show them a paragraph with the topic sentence being the main idea, and then some detail sentences. 3 of them deal with the topic and one doesn't. We do whole model lessons about which one is a random raindrop and which ones are the actual raindrops coming from the main idea cloud. Here in this picture, students practiced underlining the main idea sentence in red, details in green, and crossing out the random detail. We always tie the comprehension skill into the basal story for the week. This week we read a short non fiction text on astronauts in space. Sometimes, non fiction can be easier to teach main idea because the details are pretty straight forward. We worked together filling in the cloud and details organizer to go along with this topic. Once they were able to provide me with the main idea and three details they read about astronauts in space, they got to create their Main Idea hat. And this is where the TREATS part comes in for you. 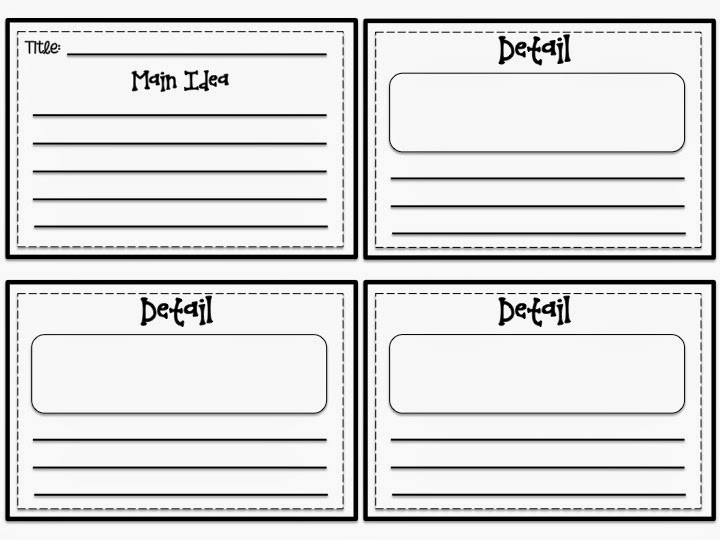 Main Idea Star template. They also got four rectangles - one for the title and main idea of the story, and three rectangles for three different details and pictures. 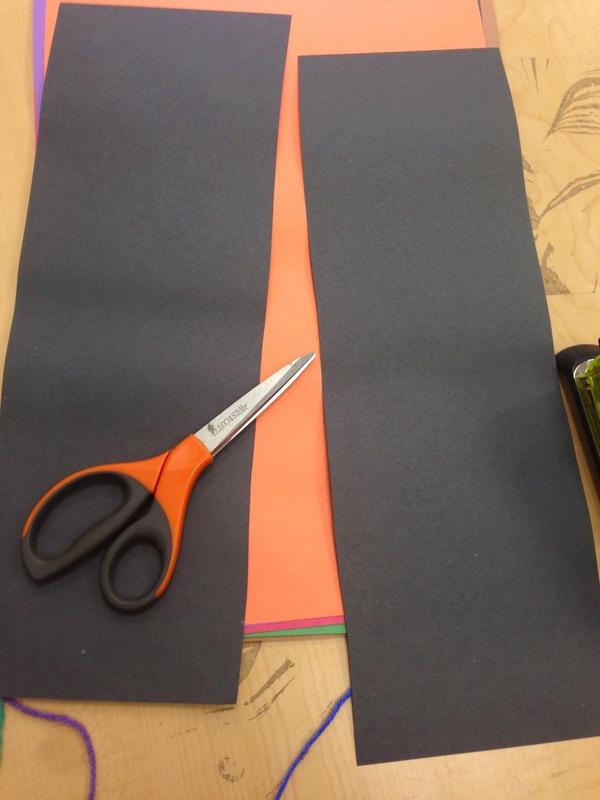 Then I cut long construction paper to the approximate size of the kids' heads. Students had to complete this graphic organizer dealing with the story of the week. Then they glued the boy or girl at the beginning of the construction paper slip, followed by the main idea and the three details. I stapled the hat together at the end. You can pick up the template for this HERE or by clicking on the picture. The treats continue! This weekend only, my entire store is 20% off! Check out everything HERE! Now hop along to the other awesome tricks and treats down below! I agree, main idea is a tricky subject for some students. Thanks for the post! 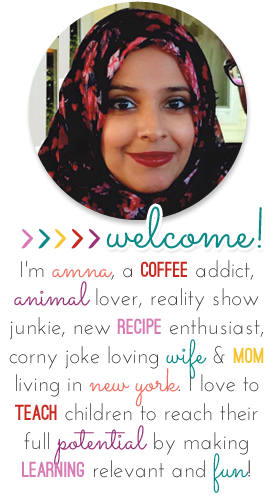 Great ideas, Amna! This is always a tough one for my kiddos. Thank you for the freebies! I know, it's hard no matter what! Love the raindrops from a cloud analogy for kids and those hats are so cute! Thanks for showing REAL anchor charts too! Sometimes we feel pressured to make everything pinterest worthy, and really it's just about the learning process! (although I do love a cute anchor chart when I can find the time! Thanks for your freebie. Main idea and details is sooo tricky for firsties and seconds. My daughter is in 2nd grade and will love making the hat. Aw I am so glad that it will be put to use! 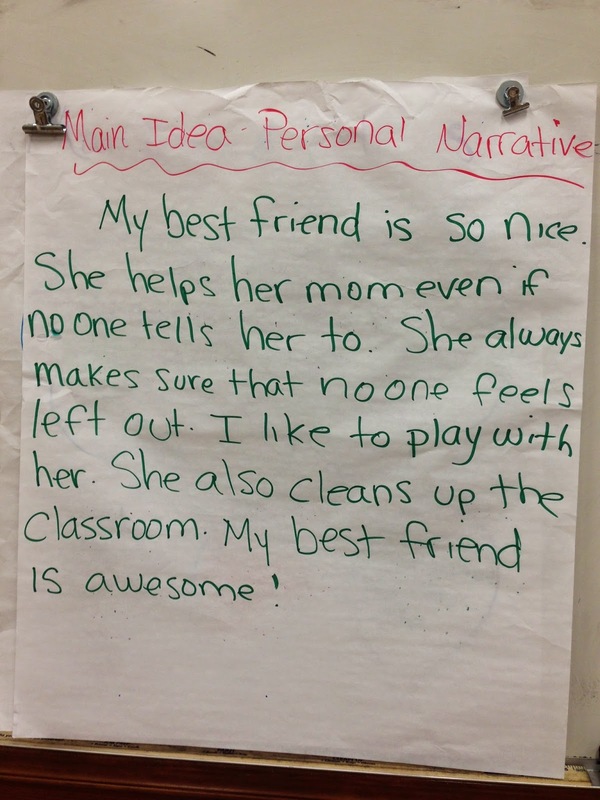 Love your ideas Amna as I always struggle with ways to clearly teach my first and second graders about main idea. I know have some useful ways to get started!! Thanks! Thanks so much Elyse!! If you know of any other ways to teach it, lemme know! I love the rain drop idea! It makes so much sense. 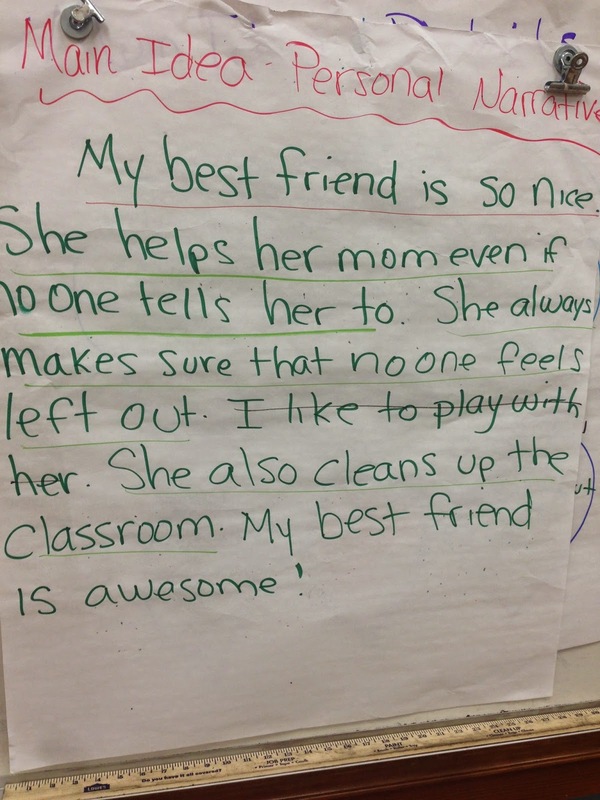 I agree with Mrs. Plemons, too, about your anchor chart. It is meant to be a useful tool, not just something pretty to post somewhere. Mine are always messy and have mistakes on them and then blobs where I marked something out! Thanks for sharing! Thanks for sharing. 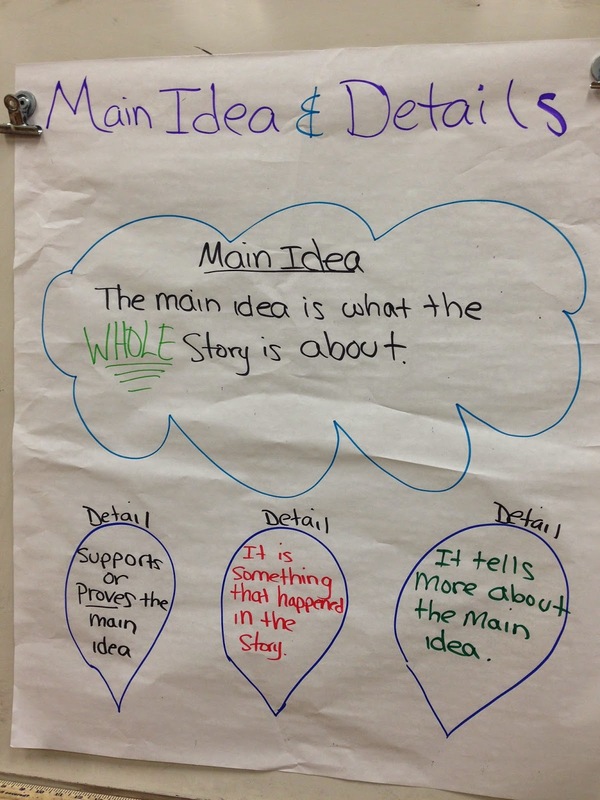 I think your cloud and raindrop visual for teaching main idea is a GREAT idea! I am a huge fan of anchor charts, and the one you shared is going to be so useful for many classrooms. I pinned the pic to my comprehension board. You are awesome!! Thanks so much for the pin. Cute little hats, Amna! Love them! Hope your school year is treating you well! Looks like it is!